Medication-related clinical decision support (CDS) alerts have been shown to be effective at reducing adverse drug events (ADEs). However, these alerts are frequently overridden, with limited data linking these overrides to harm. Dose-range checking alerts are a type of CDS alert that could have a significant impact on morbidity and mortality, especially in the intensive care unit (ICU) setting. We performed a single-center, prospective, observational study of adult ICUs from September 2016 to April 2017. Targeted overridden alerts were triggered when doses greater than or equal to 5% over the maximum dose were prescribed. The primary outcome was the appropriateness of the override, determined by two independent reviewers, using pre-specified criteria formulated by a multidisciplinary group. Overrides which resulted in medication administration were then evaluated for ADEs by chart review. The override rate of high dose-range alerts in the ICU was 93.0% (total n = 1525) during the study period. A total of 1418 overridden alerts from 755 unique patients were evaluated for appropriateness (appropriateness rate 88.8%). The most common medication associated with high dose-range alerts was insulin regular infusion (n = 262, 18.5%). The rates of ADEs for the appropriately and inappropriately overridden alerts per 100 overridden alerts were 1.3 and 5.0, respectively (p < 0.001). 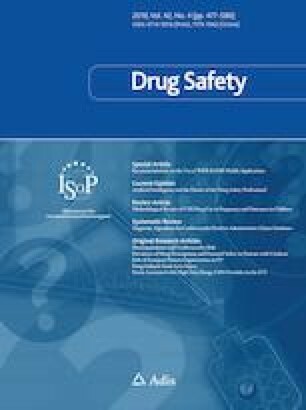 Overriding high dose-range CDS alerts was found to be common and often appropriate, suggesting that more intelligent dose checking is needed. Some alerts were clearly inappropriately presented to the provider. Inappropriate overrides were associated with an increased risk of ADEs, compared to appropriately overridden alerts. This study was supported by a grant from the American College of Clinical Pharmacy Critical Care Practice and Research Network. Dr. David Bates reports receiving equity from Intensix, which makes software to support clinical decision making in intensive care; being named as co-inventor on Patent Number 6029138 held by Brigham and Women’s Hospital on the use of decision support software for medical management, licensed to Medicalis, and holding a minority equity position in Medicalis, which develops web-based decision support for radiology test ordering; consulting for Early Sense, which makes patient safety monitoring systems; receiving equity and cash compensation from QPID, a company focused on intelligence systems for electronic health records; receiving cash compensation from CDI (Negev), which is a not-for profit incubator for health IT start-ups; and receiving equity from Enelgy, which makes software to support evidence-based clinical decisions, from Ethosmart, which makes software to help patients with chronic diseases, and from MDClone, which takes clinical data and produces de-identified versions of it. Dr. Patrick Beeler was supported by the Swiss National Science Foundation. Dr. Adrian Wong, Ms. Christine Rehr, Ms. Diane Seger, Dr. Mary Amato, Dr. Sarah Slight and Dr. Adam Wright have no conflicts of interest to disclose. This study was approved by the Partners HealthCare Institutional Review Board. ISMP list of high-alert medications in acute care settings. Institute for Safe Medication Practices website. https://www.ismp.org/tools/institutionalhighAlert.asp. Updated 2014. Accessed 20 July 2018.